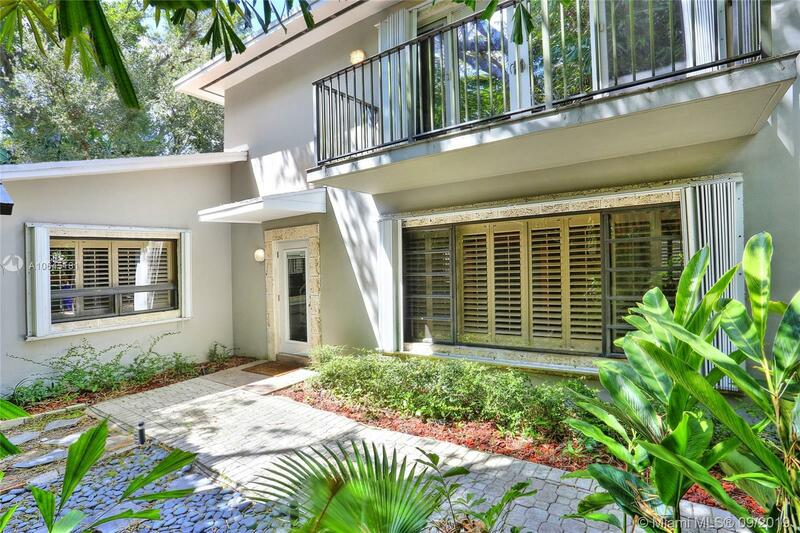 4046 El Prado Blvd, Coconut Grove, FL.| MLS# A10645181 | Susan J Penn l Best Agent l Buy & Sell South Florida Homes! Lovely home on one of the most coveted South Grove streets, just a short walk to the Grove village centerâs galleries, boutiques, cafes and bayfront parks & marinas. Light-filled living spaces feature custom built-ins, plantation shutters and terracotta & wood floors. Renovated, open kitchen features wood cabinetry, stone countertops, stainless appliances and breakfast bar w/ seating. 1st level- 2 BR/1.5 BA. 2nd level-expansive master suite w/ sitting area, ample closet space, private balcony overlooking the tree-tops & spa-like bath w/ rain shower enclosed in frameless glass. Ultra-private tropical garden with ample room to add a pool. Private neighborhood police patrol. High elevation/not a flood zone. Minutes to downtown, MIA and to Coral Gables & South Miami shopping and dining.